Carmel, California is a picturesque little village with a Mediterranean vibe on the Monterey Peninsula on the Pacific coast with less than 4,000 permanent residents. The town of Carmel-by-the-Sea, California, was founded in 1902 and quickly became famous for its artist colony and a large number of artists who made it their home. 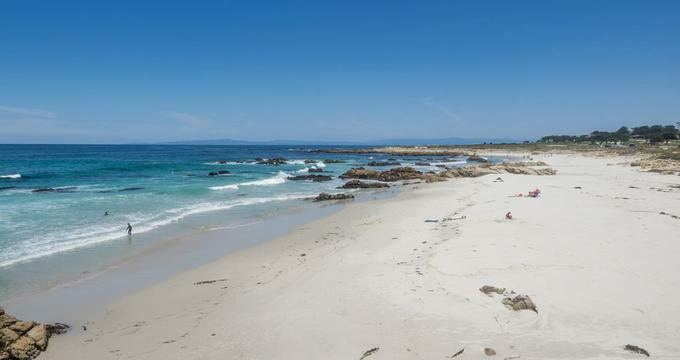 The wonderful Mediterranean climate makes nature in and around Carmel, CA, lush and green all year, and its beautiful white sandy beaches attract many vacationers throughout the year. Here are the best things to do in Carmel, California. Point Lobos is probably the most beautiful two miles of seacoast in the world and one of the top Carmel attractions. This magnificent park has captured the hearts of photographers and painters, birders, and hikers with spectacular views of the endless ocean and powerful waves crashing over rugged rocks. The reserve also has narrow trails that meander through the pine forest or a rare Monterey cypress grove, and orcas or gray whales occasionally pass slowly on the horizon. Animal lovers can spot foxes, raccoons, mountain lions, rabbits, or bobcats and hundreds of kinds of birds. And that is above water. Under water, it is a divers’ paradise with rare and diverse sea life and enormous kelp forests, all protected within the Monterey Bay National Marine Sanctuary. 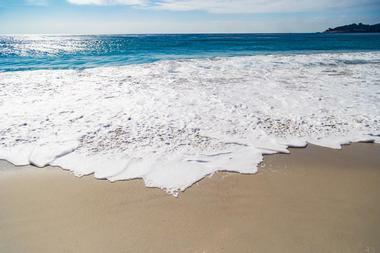 Where the Ocean Avenue ends, the world-famous Carmel Beach with soft, white sands and a pleasant secluded cove begins. It attracts sun worshipers, dog walkers, surfers, volleyball players, and makers of sand castles. It is a great place to spend the day with kids, and even the dogs are allowed to run free. Carmel Beach is one of the best things to do in Carmel, California. It is an excellent swimming beach, but since there are no lifeguards, swimmers should be wary of strong rip tides and rogue waves. With the picturesque background of Point Lobos with its dark green pines and gnarly Monterey cypresses, the beach is also a popular wedding venue. The entire Monterey Peninsula is breathtakingly beautiful, but there are parts that hug the Pacific coastline that are among the most scenic in the world. The stretch of 17 miles of the road through Pebble Beach Resort and Pacific Grove is one of the most visited tourist destinations in California with millions of tourists passing through every year. There is so much to see during this relatively short route – a 250-year-old Monterey Cypress, Fanshell Overlook with a white sand beach where sea lions come to have babies, the lovely picnic spot in Spanish Bay, and The Lodge built in 1919 with a great golf course, shops, and restaurants. While San Carlos Borromeo de Carmelo Mission is historically important and an active church, visitors are quick to notice the breathtaking beauty of the mission. Mission San Carlos Borromeo del río Carmelo, or the Carmel Mission, is a Roman Catholic church in Carmel established in 1770, and it is one of California’s most significant heritage sites; the mission is part of the National Register of Historic Places. The centerpiece of the mission complex is Basilica Church, which features a magnificent catenary ceiling, five-foot thick walls, and a collection of Colonial Spanish Liturgical Art. In the Basilica’s forecourt is the Harry Downie Museum with artifacts and interpretive displays about the restoration of the mission. In fact, there are several museums in the mission: Munrás Family Heritage Museum, Convento Museum, and the Jo Mora Chapel Gallery. With rough rogue waves and strong, dangerous rip tides, Carmel River State Beach is not a swimmers’ beach. But, ask any bird watcher, kayaker, or diver about the beach and they will rave about it. It is a mile-long beach located in Carmel Bay just where Carmel River spills in the ocean. As it reaches the ocean, Carmel River forms the lagoon, which is a protected Wetlands Natural Reserve and a fantastic location for a congregation of large numbers of birds. Just north of Point Lobos State Natural Reserve is Monastery Beach, also part of the Carmel River State Beach Park and a very popular diving site. It is also an important historic site significant for the Rumsien Native American tribe. High on a windswept promontory sits a whimsical stone cottage crafted with rough granite boulders collected from the Carmel Bay’s rocky shore. 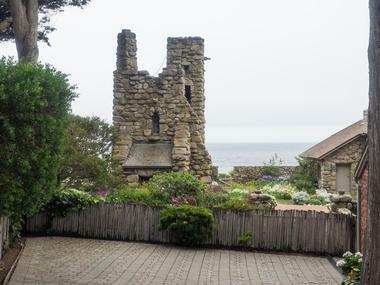 It is home of the celebrated American poet Robinson Jeffers, the home he built for his wife and twin boys. He called it Tor House for the craggy knoll it perched on and the view it enjoyed, which provided inspiration for almost all of Jeffers’ work. The house was completed in 1919 and a year later Jeffers independently added a tower as a retreat for his wife and kids. Tor House hosted many big names of its time such as Sinclair Lewis, Charles Lindbergh, Charlie Chaplin, and George Gershwin. Today, Tor House is open to the public and hosts many literary events. Just above Carmel Beach at the end of Ocean Avenue starts the Scenic Road Walkway, a walking or jogging path with an absolutely spectacular view on both sides. On one side is the endless expanse of the ocean where you can see nature at its most powerful. The other side features fabulous mansions, each different and original, testaments to human ingenuity. The Scenic Road Walkway is one of the best Things to do in Carmel, California. The walkway is about 1.7 miles of easy jogging but you can spend a day on one of many benches along the path, enjoy the vista, daydream, or having a picnic. If you get hot and decide to cool off in the ocean, you can take one of several stone or wooden stairways to the beach. Built in 1926 as a public school, Sunset Cultural Center is today a modern, dynamic center for performing arts. The stunning gothic architecture of the center and its incredible acoustics set the stage for a range of world-class performances that include music shows, comedy, theatre, rock concerts, and dance performances. The center is home to the Monterey Symphony, Chamber Music Monterey Bay, the renowned Carmel Bach Festival, and the Carmel Music Society. The center also organizes a range of popular annual events such as the Carmel International Film Festival and the Nutcracker performed by the Dance Kids of Monterey County. Having a meal at the Mission Ranch Restaurant is quite a special experience. The view is spectacular, with the Santa Lucia Mountains in the background and Point Lobos with the endless expanse of the Pacific Ocean in front. You can enjoy the view from the elegant but relaxed dining room or from the lovely heated patio. If you are looking for romantic date ideas, this is a great place to try. The food is classic American with great selections of comfort food and everyone’s favorites such as baby back ribs and filet mignon. Soft, soothing sounds of live piano music add to the enchanting atmosphere. Sunday brunch at the Mission Ranch is a celebrated event, with buffet style food and live jazz. The Grill on Ocean Avenue looks like it has been transported from some quaint village in rural France. It features warm woods, a large stone fireplace, lots of colorful local art and crisp white linens on the tables. 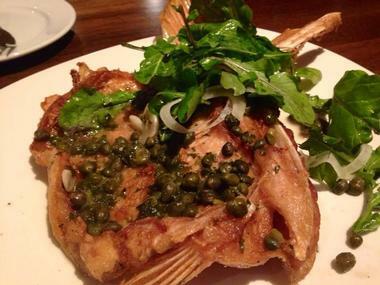 Chef Mario Luevano offers California Cuisine with light ethnic touches from all over the world. The focus is on high quality meats and local fresh sea food. He skillfully combines American favorites such as flatiron steak with chimichurri sauce and pork chops with spiced apple chutney. To try a bit of everything, check the three-course meal at the Sunset Dinner. The Grill has an extensive high quality wine list and great cocktails. 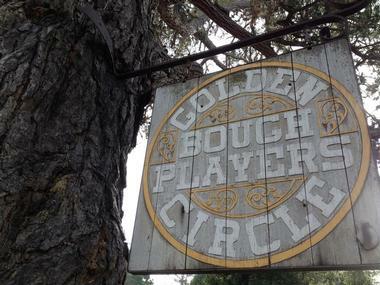 The Golden Bough Playhouse is a historic theatre built in 1952 on the site of the celebrated Carmel Arts and Crafts Clubhouse that burnt to the ground in 1935. The Playhouse provides home to the Pacific Repertory Theatre, the only year-round theatre of Carmel and Monterey County. The Playhouse has two theatres: Golden Bough Theatre, the 300-seat theatre used for larger contemporary and classical performances and musicals, and the Circle Theatre, a 120-seat theatre perfectly suitable for experimental pieces and other works that are actually enhanced by a small, intimate setting. Carmel's Forest Theater was founded in 1910 in Carmel-by-the-Sea, California, and at the time it was one of the few outdoor theatres on the West Coast. Its founder and driving force was celebrated actor and director Herbert Heron. The main focus of the theatre was to present original new works by California authors, to offer to the public greatest Shakespeare’s plays, and to foster and encourage children's theatre. In 1949, Heron formed the Forest Theatre Guild and created the small, 60-seat Indoor Forest Theater. In 1972, the Forest Theater Guild started producing musicals and, since 1997, they have been producing a film series. The Barnyard in Carmel is a very high-end Shopping Village built in 1976 with more than 45 merchants offering everything from high fashion clothing, art galleries, and jewelry to eight great restaurants and various services. 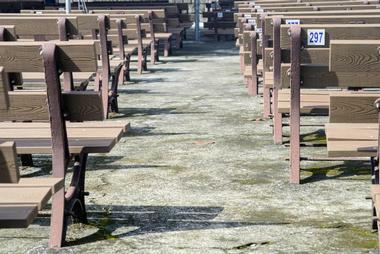 The Barnyard was extensively renovated in 2005 after it was purchased by SIMA Barnyard, LLC. Buildings benefited from new roofs, copper gutters, lovely fireplaces, and charming mosaic paths. Beautifully landscaped multi-level gardens bursting with color provide a tranquil oasis for relaxing on a bench or having a bite to eat. The gardens are also a popular venue for romantic weddings. Caraccioli Cellars is a renowned family winery founded in 2006 that takes pride in using only Pinot Noir and Chardonnay grapes from their own 124-acre Escolle Vineyard in Santa Lucia Highlands. Their goal is to produce high quality, distinct wines by fully controlling the wine making process. 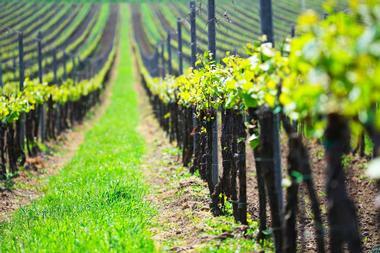 Caraccioli wines are known as “Old World” wines, which are characterized by deep roots. 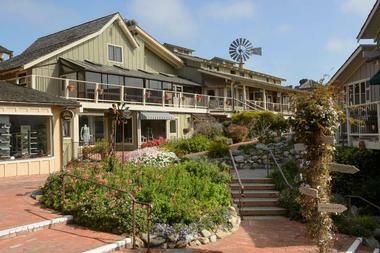 Their very elegant tasting room is located in downtown Carmel and is open every day. The visitors are offered an unforgettable experience with plates of cheese and charcuterie while they taste a flight of Caraccioli wines before deciding which wine they like best. The tasting room is so beautiful that it is often used for special events and parties. 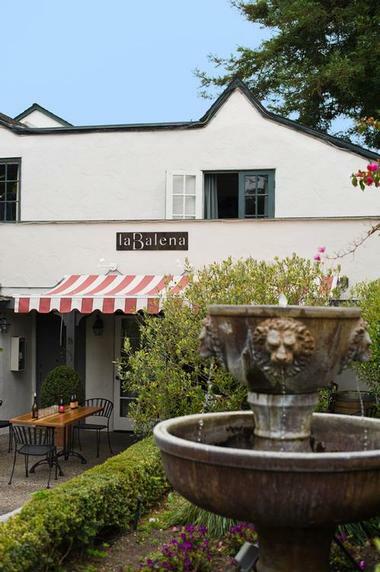 La Balena is a little piece of Tuscany in downtown Carmel, from its charming patio full of lush plants to the lively kitchen where everything is made from scratch. Chef Brad Briske browses the markets and visits friendly farmers every morning before he decides what he is cooking that day. Everything is organic and he butchers his own meats, makes his own pasta, and every day pays tribute to his Italian grandmother who instilled in him a love for food and very high standards. The menu is rustic Italian, but Chef Briske is an artist who adds his own twist to old favorites. Try his Osso Buco – it is made with pork braised with orange and olive oil and served with pine nut gremolata. La Balena has a nice selection of Californian and Italian wines. When Carmel artist Jeanne D’Orge formed the Carl Cherry Center for the Arts in 1948, she made it clear that the goal of the center was to make it possible for artists to be true to themselves. The help the center offered had no strings attached, and the public success of the artist was not important. The center was established in order to support experimental art and science projects. To fulfill its mission, the center presents high quality, diverse, original, contemporary, artistic, cultural, and educational programs in Monterey that engage and challenge the audience. 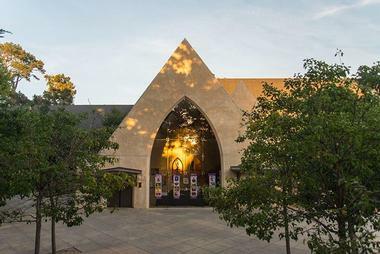 The center consists of an art gallery, a 50-seat Cherry Hall theater, and the Geraldine M. and Tom R. Houston Sculpture Garden located within the center’s grounds. There is nothing like the smell of freshly roasted coffee to start the day. 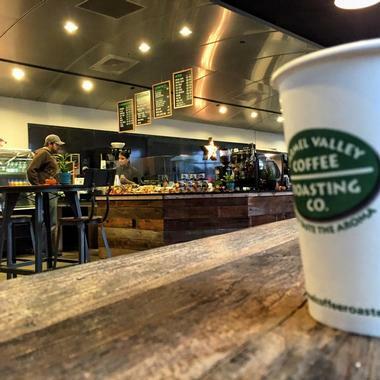 Carmel Valley Coffee Roasting Company started slow-roasting organic beans in 1994 in their 25-pound batch roasters from San Francisco. The result is fabulous coffee that has been freshly roasted and freshly brewed in one of their seven coffee shops around the Monterey Peninsula. Stop by their adorable little store in downtown Carmel for a cup of cappuccino or espresso and grab a piece of pastry or a fancy sandwich to enjoy on the beach. You might want to bring some of their coffee home, so choose from their large selection of coffees from all over the world in the store. You can also order it online. There is something about treehouses that turns all of us into children again. Treehouse Café in downtown Carmel is truly enchanting, especially in the evening when all the little lights on the tree are twinkling. The atmosphere is so pleasant that people tend to linger over their cocktails and wines and the fun international menu that ranges from Italian Bruschetta and Thai pork sausages to Greek Dolmas. La Balena is an artisanal Tuscan-style bistro in Carmel, originally opened in 2012 by married duo Anna and Emanuele Bartolini. The charming 49-seat restaurant, which has received acclaim from national publications such as Food and Wine, Wine Enthusiast, The Coastal Table, and The San Francisco Chronicle, serves up a daily-rotating menu of delicious Italian comfort fare, highlighting fresh-prepared pasta, slow-cooked meats, and daily fish catches. Sample menu items include osso bucco with orange and olive-braised veal shank, wild boar pancetta, and arborio-crusted pollo frito. An acclaimed wine list highlights Napa and Sonoma Valley favorites alongside Italian imports, carefully chosen to complement entrees. 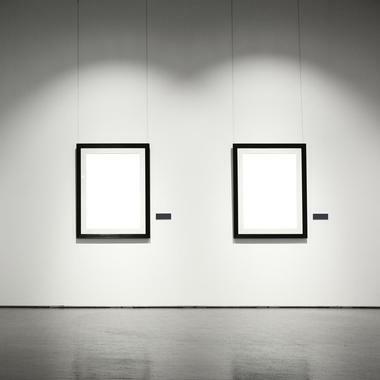 Whether you are a serious art collector or a new home owner looking for a piece of art for your living room, Westbrook Modern Art Gallery is the place where experts will advise you, educate you, and help you make the right decision. 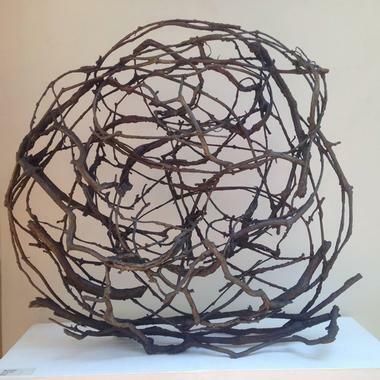 Westbrook Gallery specializes in American modern art from the 1940's to today. They focus on Modernism, Bay Area Figurative, The Post War Abstract Expressionism, and Berkeley Schools, and they also emphasize significant works by artists who have contributed significantly to the Modern - Abstract Expressionist Art. The gallery represents artists who are ranked among the best in their fields who have won a number of awards and whose works are part of a number of important collections of some of the best museums in the world. From the sea level to over 3,400 feet, over seven miles and across 4,300 acres of magnificent, rugged, and rustic nature lies Palo Corona Regional Park, one of the most important open, undeveloped spaces on California’s Central Coast. It has an incredible diversity of eco systems and species with more than 500 species of plants in habitats that range from the Carmel River to the mixed hardwood forest on top of the 3000-foot Palo Corona Peak. 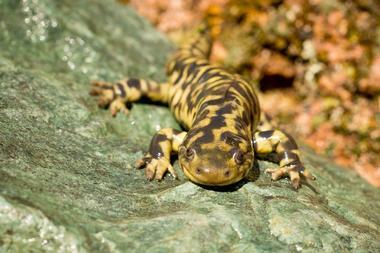 The park is home to rare amphibians such as the tiger salamander and the California red-legged frog as well as the endangered Smith’s blue butterfly. Raptors are free to nest and roam through the forests and grasslands completely protected. Mountain lions, deer, bobcats, California condors, golden eagles, peregrine falcons, and black bears all reside within the park, along with many other animals that are becoming rare in more populated areas.